Breaking: Herman Wallace Dies Just Days After Being Released from 40+ Years in Solitary | Democracy Now! Democracy Now! 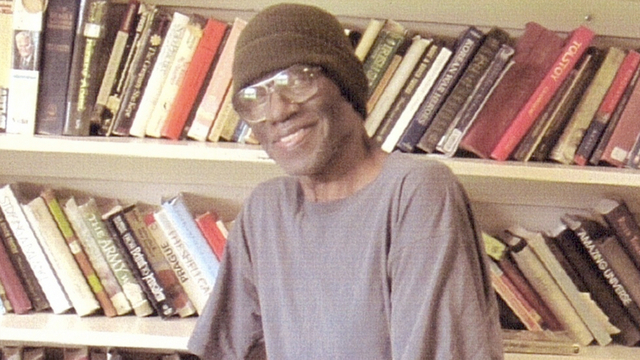 has learned from supporters and loved ones of Angola 3 member Herman Wallace that he passed away early this morning, on Friday October 4, just three days after being released from prison in Louisiana after 42 years in solitary confinement, and shortly after the state announced it would re-indict him. Wallace was suffering from terminal liver cancer and would have turned 72 on October 13. “For the past decade, it has been our honor to represent Herman Wallace. Herman endured what very few of us can imagine, and he did it with grace, dignity, and empathy to the end. 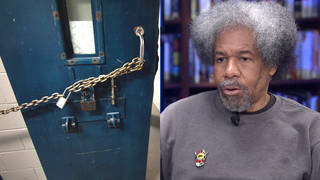 He remained committed to standing up for himself and his fellow prisoners, including Albert Woodfox who is still kept in harsh solitary confinement conditions in a Louisiana prison. Despite the cruelty Herman was shown, he had no hatred in his heart. On Wednesday’s show we spoke with Robert King, who until Tuesday night was the only freed member of the Angola 3 and helped deliver to Wallace the surprising news of his release. We also interviewed Wallace’s defense attorney, George Kendall; and Jackie Sumell, an artist and Wallace supporter who was with him at the Louisiana State University Medical Center in New Orleans. “Tonight, Herman Wallace has left the walls of Louisiana prisons and will be able to receive the medical care that his advanced liver cancer requires. It took the order of a federal judge to address the clear constitutional violations present in Mr. Wallace’s 1974 trial and grant him relief. The state of Louisiana has had many opportunities to address this injustice and has repeatedly and utterly failed to do so. Federal Judge Brian A. Jackson of the Middle District Court of Louisiana ordered the immediate release of Wallace because women were excluded from the grand jury in his case four decades ago, and called for “the State immediately release Mr. Wallace from custody.” The decision came as Wallace lay dying of liver cancer. Wallace’s supporters said he had just days to live, but his requests for compassionate release had gone unanswered. Read Amy Goodman’s column, Herman Wallace, Free At Last. See all of our coverage of the Angola 3 and solitary confinement.